McFadden out at least two more games? Raiders running back Darren McFadden’s injured foot will likely keep him out of at least two more games, Jason La Canfora of the NFL Network reports. 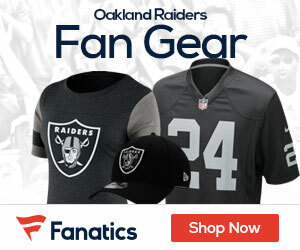 McFadden was injured during the Raiders’ 28-0 loss to the Chiefs in Week 7 and has been inactive for all three of the team’s games following their bye in Week 8. McFadden has not participated in any of the team’s practices in preparation for Sunday’s game against Chicago.